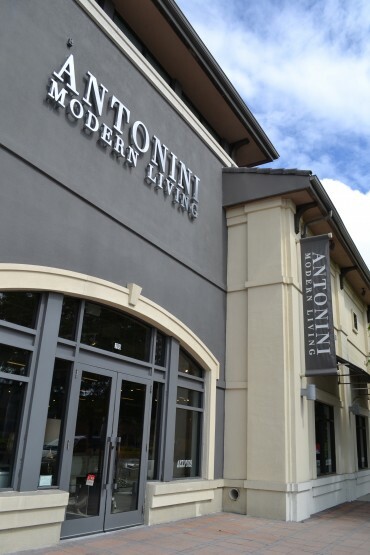 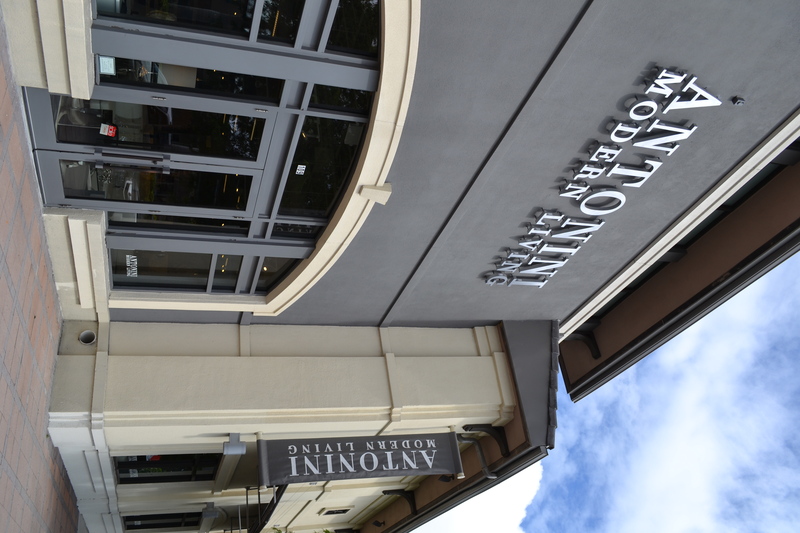 Antonini Modern Living a furniture store, with a DX constant air volume system. 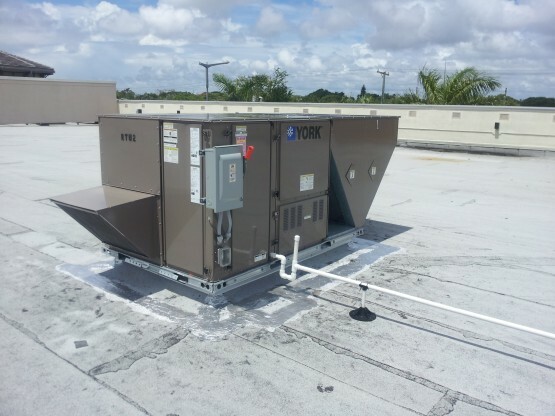 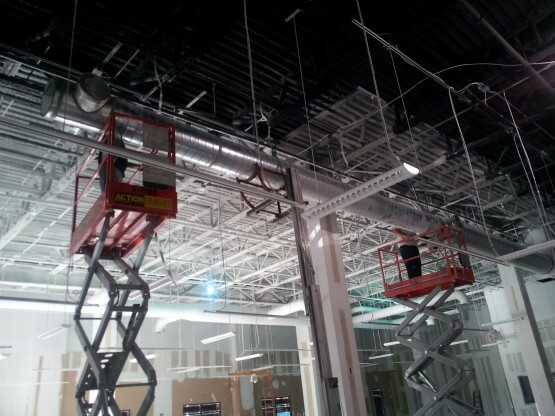 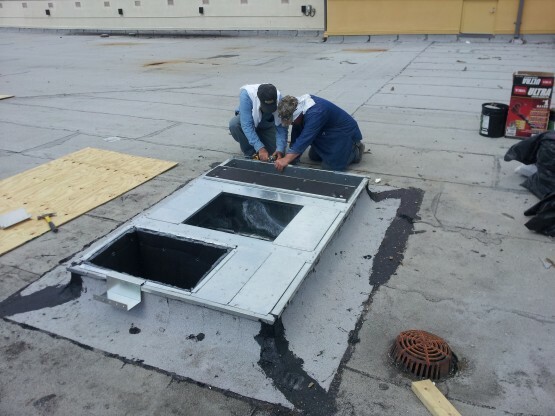 The system installed has (2) Roof Top Units “York” totaling 25 tons of cooling. 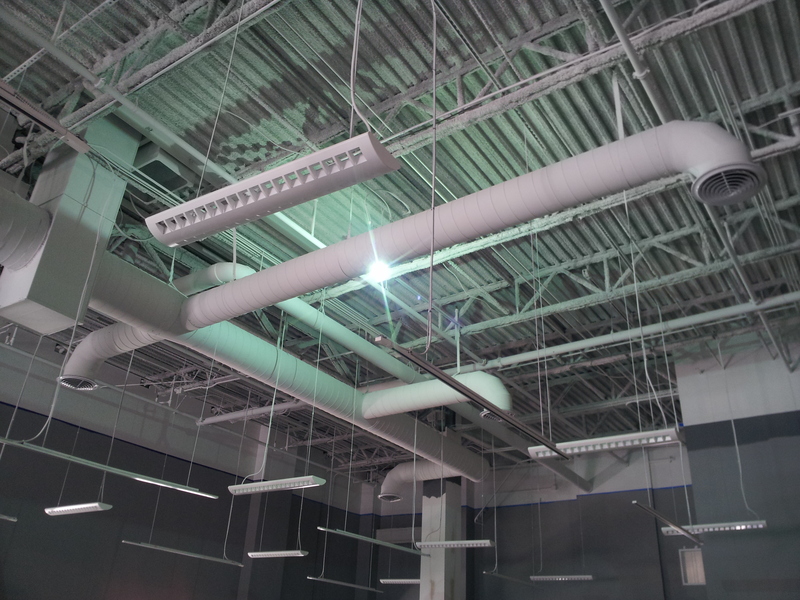 Each unit is controlled by a standalone 7-day programmable thermostats. All the air distribution system consist of spiral double wall with 2” insulation sheet metal duct work, along with round conical diffusers. 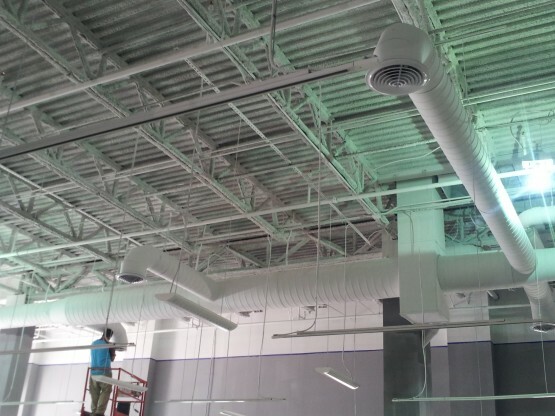 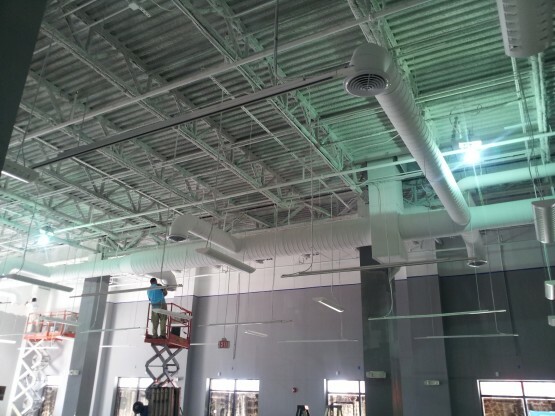 Each unit has a return air plenum with a wire mesh grille sized accordingly to the specified return air cfm. 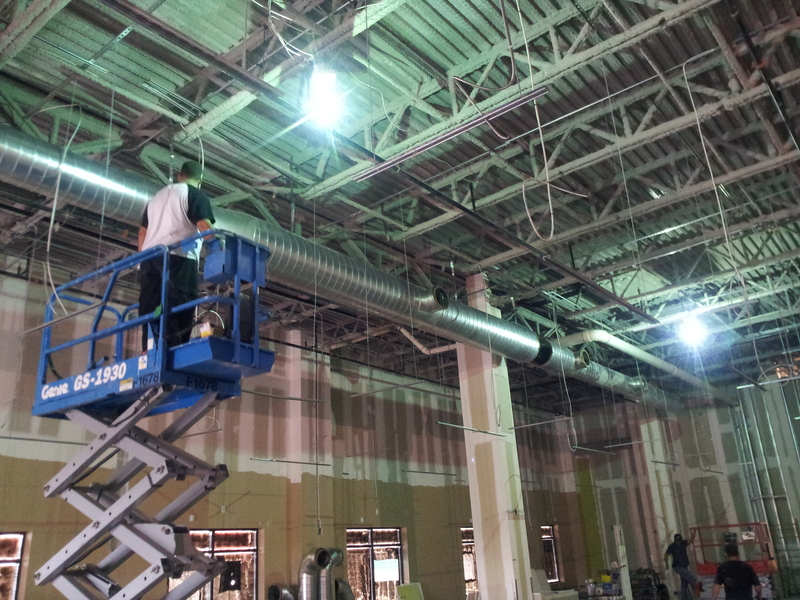 Both restrooms have 80 cfm exhaust fans with a gravity vent located at the roof for ventilation. 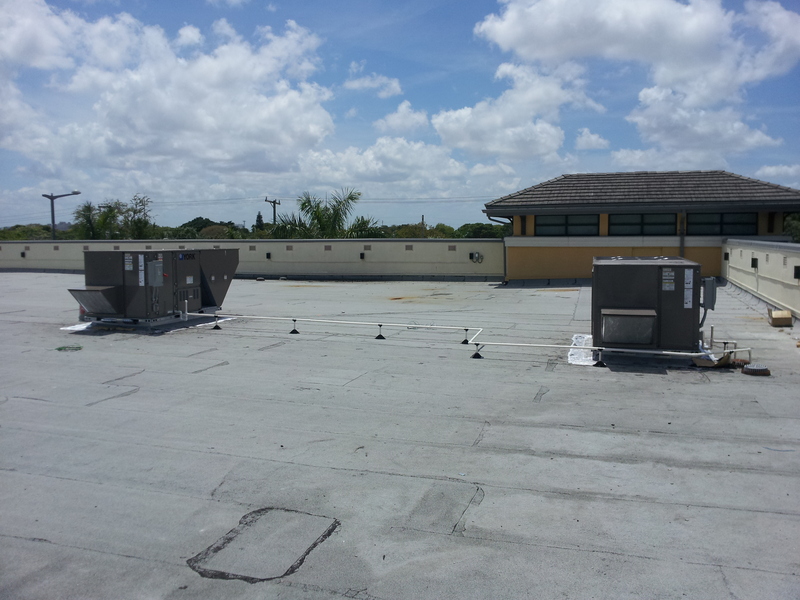 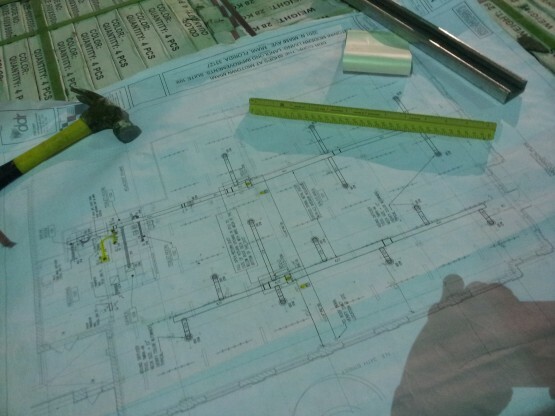 All work was inspected and approved by the City of Miami Building Department.